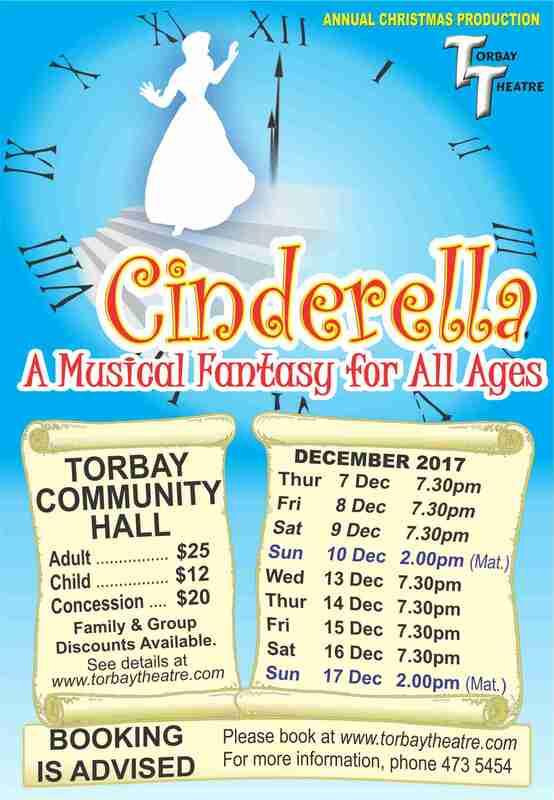 It’s that time of the year again – time for Torbay Theatre’s annual children’s show, an event much-loved by many Torbay families. 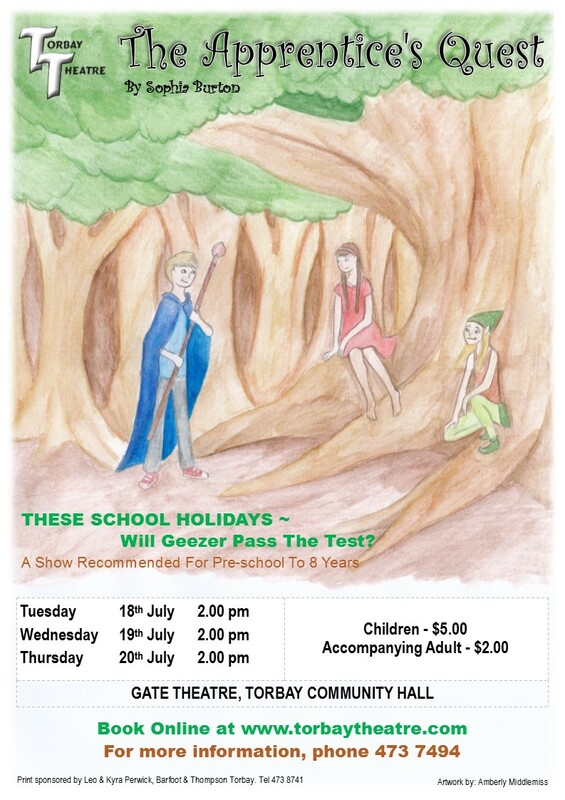 This year’s show, The Apprentice’s Quest is the sequel to last Year’s exciting Enchanted Cave Bring the little ones along to see whether naughty Geezer will ever make the grade as an enchanter. Perhaps Spike will manage to prevent Geezer and his loyal friends, Stacey and Trixie, completing the quest in time! Come celebrate Midwinter and shake off any collywobbles! NOW IS THE TIME FOR ALL GOOD MEN, WOMEN AND CHILDREN TO COME TO THE AID OF THE PARTY!!!!! Please send Jacqué or Lynette your items – a title and who’s in it, at this stage. Usual format: Get your items to us, preferably well in advance but at least by Friday Night, the Eve of the Club Night. Be funny, be musical, be soulful, be anything you like, so long as it’s short – TEN MINUTES MAX!!!! We may or may not be able to organise a rehearsal on the stage or in the Gate Theatre on the Friday night or Saturday afternoon. 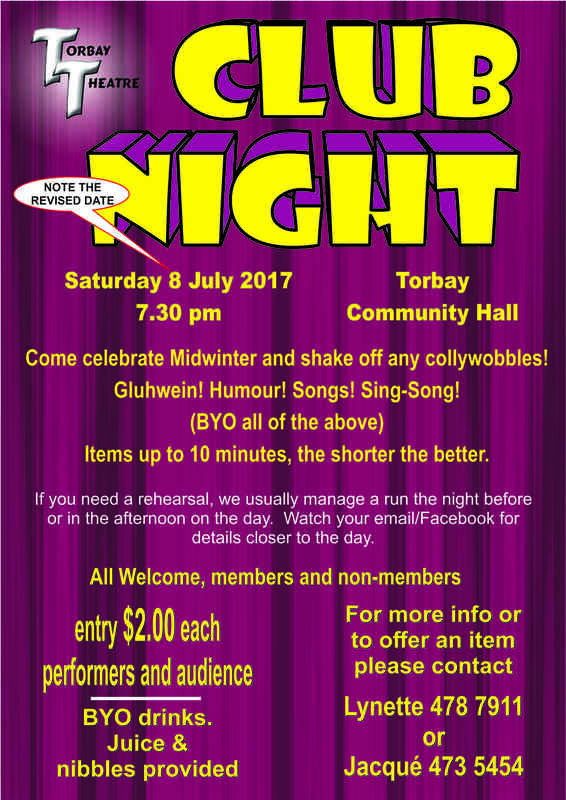 The hall is generally open Saturday night from about 5pm so put your name down for a rehearsal between 5 and 7pm if you like. Of course, as always, we needs LOTS OF VOLUNTEERS!!! both BEFORE and AFTER! again, not necessarily in that order! AND! to spend ten minutes after the show to get it all cleared up – which, hopefully, allows a little time and energy for those who want to to gather round the piano for a jolly good sing-song. And DON’T FORGET YOUR $2-EACH AT THE DOOR!!!!! Performers, audience, hangers-on, helpers – we all need to contribute to cover the hall hire and snacks. We ONLY JUST manage to cover costs for these fantabulous evenings, so please make sure that you toss that little $2 coin into the basket. (Of course, no-one’s stopping you adding a bit more if you’re feeling extra-generous, but no-one’s asking you to either). 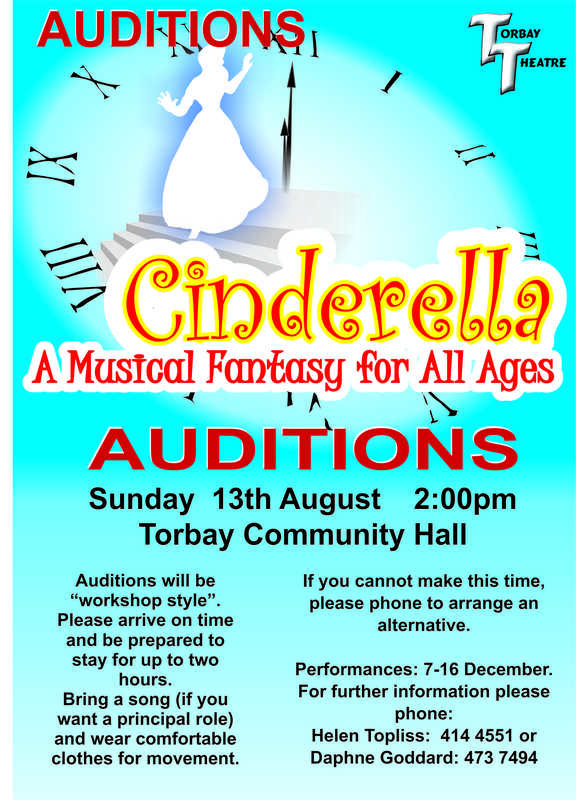 Here is a chance for anybody to find out what it’s like to be on the other side of the footlights. 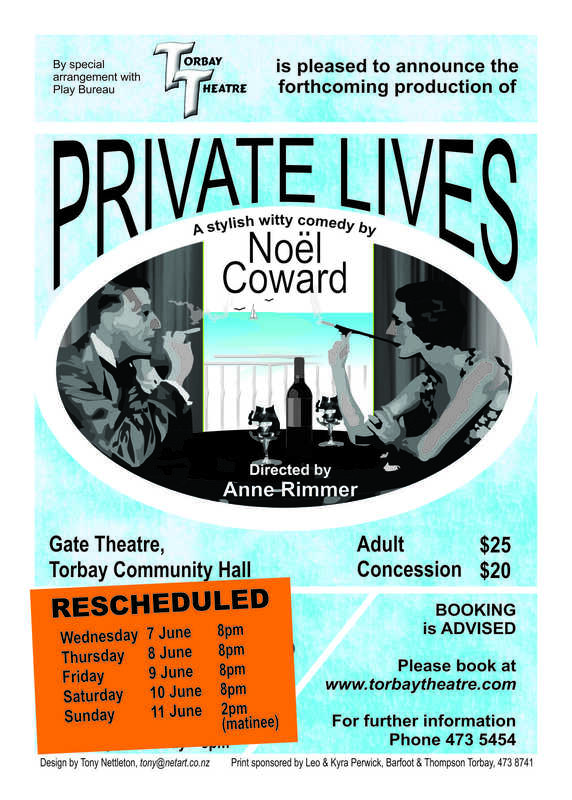 Come along to entertain and be entertained with dance, song, skits, games and theatre. Non-members are warmly welcome for a taster of what we do – and maybe you would like to join! If you’ve never been, come prepared for an evening of highly entertaining edification and silliness. Please email us or contact Lynette on 478 7911 or Jacqué on 473 5454 if you’d like to contribute a short skit, song, poem, or anything entertaining, or if you’d like to offer yourself as an actor in someone else’s skit. We’d like a little advance notice, maybe a title to put on a preliminary programme, so we can aim to balance the evening a little. Rehearsal is up to you or as arranged (we often manage a run for anyone wanting/needing it the night before or in the afternoon on the day). Watch your email/Facebook for details closer to the day. Absolute maximum length 10 minutes, the shorter the better. Entry $2.00 EACH for both performers and audience. Juice and nibbles will be provided. BYO drinks. For more info, please email us or contact Lynette or Jacqué. 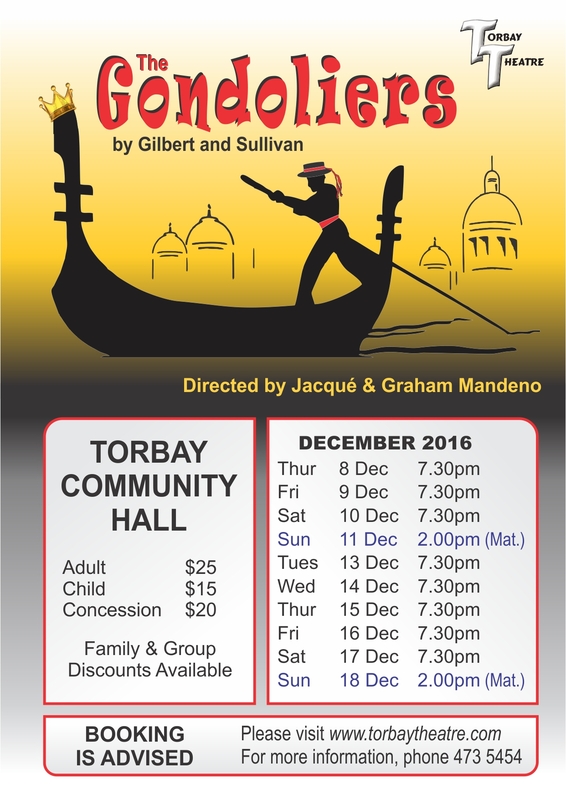 We are pleased to announce that Torbay Theatre has received 9 nominations in 8 categories for the 2016 Auckland Community Theatre Trust Awards. The awards dinner will be held on Saturday 18 March at the Crowne Plaza Hotel.